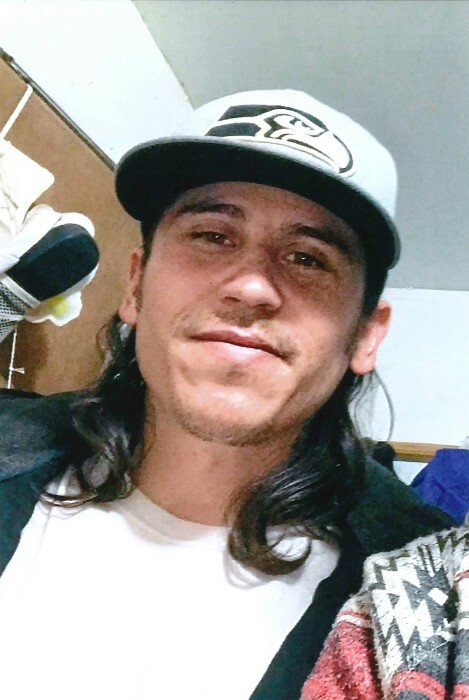 Joseph Michael Sangrey, 32, of Great Falls, passed away unexpectedly on Saturday, March 30, 2019. A Viewing will be held this Friday, April 5th from 6:00 PM to 8:00 PM in the Rose Room Chapel at Croxford Funeral Home. A Funeral Service will be held on Saturday, April 6th at 10 AM at Croxford Funeral Home. Born on December 2, 1986 in Great Falls, MT to Peter Sangrey and Lorie Staber Hanson, Joseph enjoyed spending time with his family. Kindhearted and loving, he always had a smile for everyone. Always one to lend a helping hand to those in need, he will be missed by all who knew and loved him. Joseph is survived by his mother, Lorie; sons, Elija and Joseph Jr.; daughters, Breanna and Jaelynne; sisters, Angela, Catherine and Teila; brothers, Gerald, Peter, Timothy and Shayne; grandfather, Michael Brown; numerous aunts, uncles, nieces, nephews and cousins. Those who preceded him in death include his Grandma Betty; Grandpa Tony and Uncle Layne.